Australia’s world famous Circa meets Britain’s urban hot ticket 2Faced Dance Company in this dramatic and awe-inspiring production, starring internationally-renowned film and TV star Goldie and featuring interactive performance experts seeper. A love story bridging heaven and earth unfolds before your eyes in this outdoor spectacle, featuring the most amazing transformation of a Birmingham building ever seen. 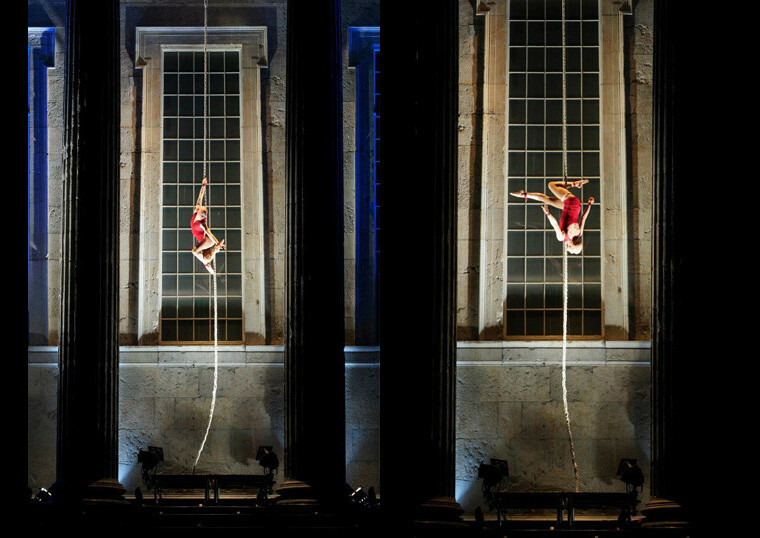 Angels gathered on rooftops as the whole of Victoria Square came alive with jaw-dropping circus acrobatics and exhilarating dance.